Dolphin Cottage is a very relaxing and private holiday retreat which is close to the beach (4 min walk), surf shop with equipment hire and general store. Smiths Beach - Phillip Island. (via San Remo) on the ocean side, - take Back Beach Road which leads to the Penguin Parade and Grand Prix Circuit. Phillip Island has a number of beautiful beaches, coastal walks, (Cape Woolami walk is spectacular); visit the penguins, the Nobbies and the seal colony, Koala Conservation Centre, fishing charters, hire boats, jetties, golf, go karts, many restaurants and cafes, Berrys Beach winery, and of course the Grand Prix Motorcycle circuit is well worth a visit. Wayne and I have four children and two grand children. Smiths Beach is a perfect location for our whole family to get together, relax and have fun. 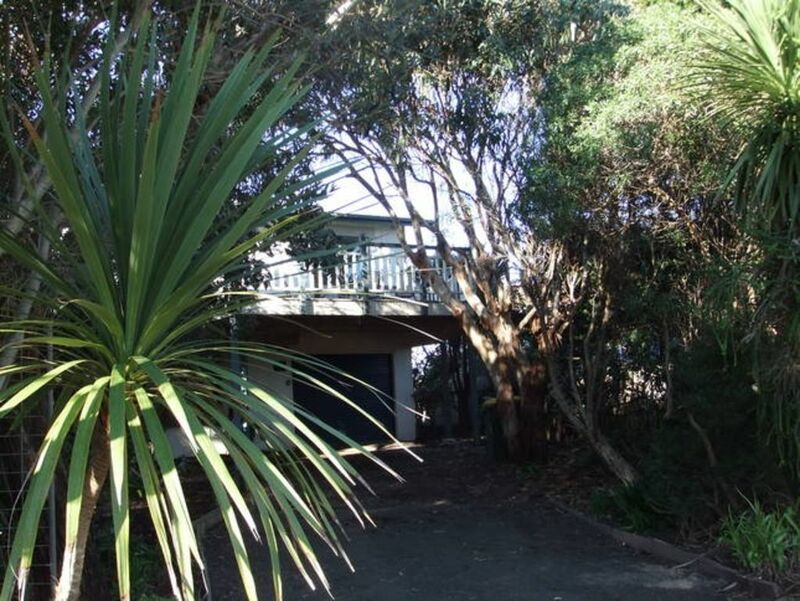 We love spending time at the beach or having a barbecue on the deck at Dolphin Cottage. Phillip Island is a great location with so much to do and we love being able to share our house with others. I love being immersed in nature. Staying at Dolphin Cottage is like living in a tree house with wonderful views of the natural environment from all windows. I like to sit on the deck in the morning enjoying a cup of coffee and listen to the bird song and waves. If I am in the mood to read I will bring a chair onto the easement at the back and look at the farm where I can observe the birdlife that take advantage of the large dam. From time to time the cows will come to the fence and you can usually see wallabies in the mornings and evenings. Dolphin cottage is only a short stroll to the safe swimming and surfing beach which is patrolled by Lifesavers during the summer months. If you walk east along the beach at low time you can explore the rugged coastline and rock pools on the way to Sunderland Bay. If you are feeling energetic you can keep walking all the way to Cape Woolamai. Wayne is a keen cyclist and there are bike paths that connect Smiths Beach to Cowes, Rhyll and San Remo. One of the nicest rides is to Rhyll via Oswin Roberts Koala reserve and the Rhyll wetlands. Four cars can be parked onsite and their is ample parking in the street. Clean, great position, easy communication with Karen. We've already booked to come back again! We are 4 sisters and had a wonderful time. We certainly hoping to do it again hopefully a bit longer. So glad that you enjoyed your stay at Dolphin Cottage. We had a great stay , the house was clean and had everything needed . We will be staying again for sure . Dolphin Cottage was a fantastic home for our three day break. The home is spotlessly clean with everything you could possibly need. Being walking distance to Smiths Beach was ideal for us and our 4 grandchildren. They had so much fun using the boogie boards supplied. We would absolutely recommend Dolphin Cottage to families wanting to visit Phillip Island.